By default the fonts Chords and Scales create chord- and scale diagrams with five and six frets. 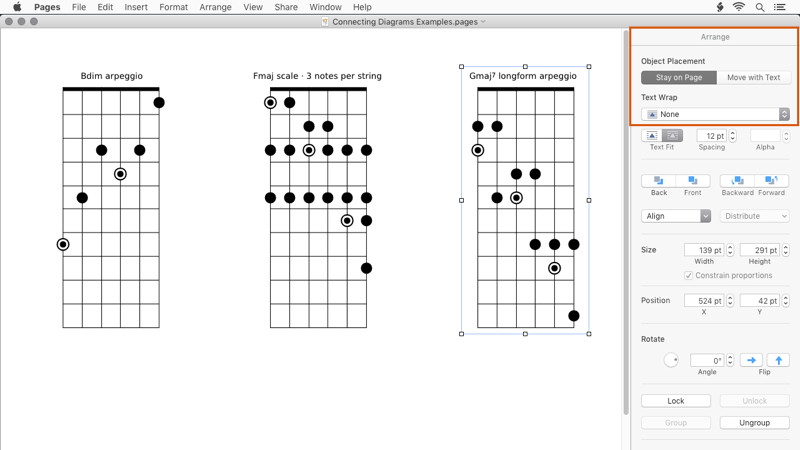 Diagrams for scale patterns using three notes per string, long-form arpeggios or some tetrachord patterns require more than six frets. 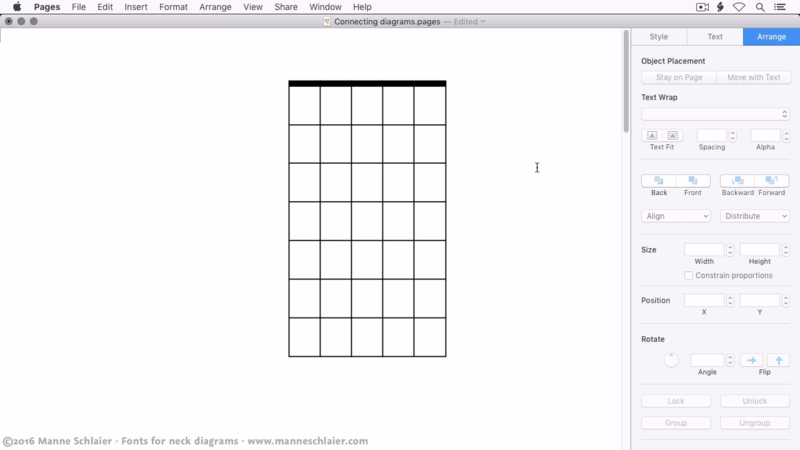 It is pretty easy to add any number of frets to these diagrams by connecting and aligning two or more text boxes in Apple Pages as shown in the video. Make sure to set Text Wrap of each text box to None.